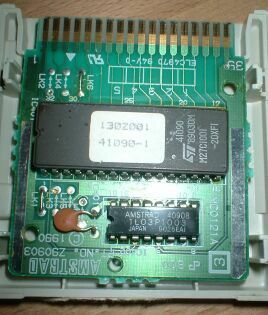 The ACID (Amstrad Cartridge Identification Device) protection chip is used in the cartridges of the Plus series and the GX4000 game console. After Nocash decrypted the internal algorithms it is possible to replace the protection chip with a complex programmable logic device (CPLD). The 16pin ACID chip (in the cartridge) is sending a serial data stream to the 160pin ASIC chip (in the computer). The data stream is generated by some shift/xor logic, and is also affected by the EPROM address/enable signals. If the data stream isn't correct, then the ASIC does scatter access to RAM, making the cartridge unusable. ;directly deal with the PinAx (or NOT PinAx) signals. Replacing or overwriting the EPROM in existing cartridges is easy, so the ACID doesn't prevent piracy or homebrew programming. However, it prevents commercial developers from producing unlicensed cartridges. Although the functionatlity of the ACID chip is known. 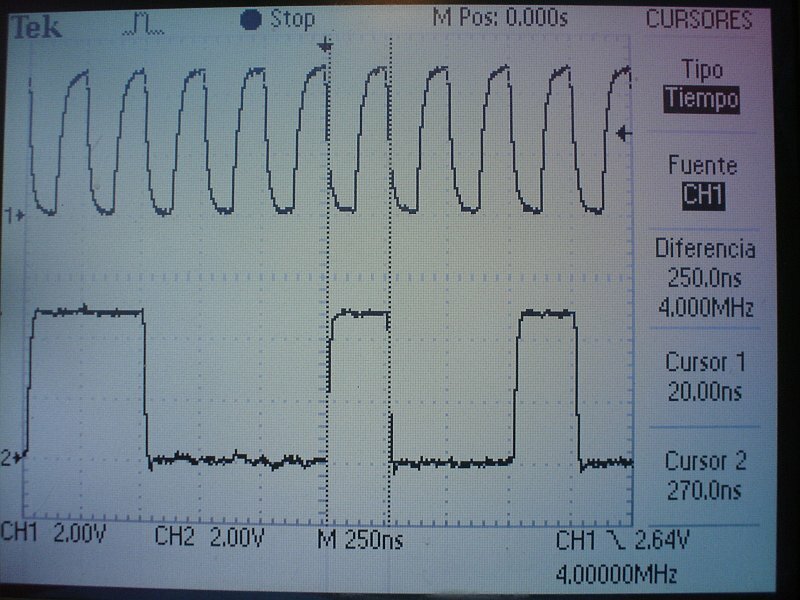 The timings of the signals coming from the computer is still unknown (reverse-engineering was done on a ACID chip, without owning a CPC+/GX4000). CLK is known to be 4MHz, and SIN is known to be updated on falling edge of CLK, as seen on this picture. Judging from the ACID chip, /CCLR is checked on falling edge of CLK. However, juding from this picture, /CCLR is changing on falling edge of CLK. If this is true (the picture resolution isn't perfect), then it's unclear how the ACID can interprete /CCLR in a stable way while it's changing. Possibly, it can't do that at all (ie. it might act unstable, and the CPC+ might need to retry sending /CCLR several times). WANTED: A picture showing CLK and /CCLR without ACID connected (at better resolution) would help! A picture showing CLK and /CCLR with ACID connected is found here. The /CE timing is still unknown, too. The ACID might check A0-A7 on raising or falling edge of /CE. Or, on raising or falling edge of CLK while /CE being LOW. Or at whatever other time. WANTED: A picture showing CLK and /CE would help! WANTED: Best also showing one or more of the A0-A7 signals. Note: The two GND pins are interconnected with each other (inside of the chip). The NC pin seems to be always high. An ACID replacement using a Xilinx XC9536 CPLD and some Verilog code based on nocash's reverse engineering work has been built by Octoate and Nilquader. ACID chip decapped. Many thanks to Sean Riddle! The CPCwiki's forum thread featuring the Epic fight between the infamous ACID and NoCa$h. This page was last modified on 18 November 2017, at 19:49.